Get creative with the curriculum by making the most of topic work. The Hot Topics series of ready-to-go resources makes it easy and inspiring to teach your favourite topics – and tick off several learning goals at the same time. 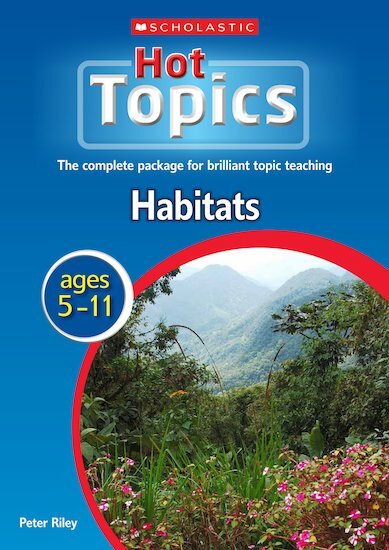 Find out how just one topic about habitats can help your pupils explore geography, science, creative writing, art and many other curriculum areas. Here is everything you need to teach your topic from start to finish, including lesson plans with clear learning objectives, photocopiables and templates.